Suggested Grade Level: 12th grade level. Description: AP® United States History examines the history of America from the pre-Columbian period to the present. The course challenges students to analyze political, social, cultural, and economic developments and to consider issues in U.S. history from a Christian worldview. How much homework is in Advanced United States History? AP® United States History is a rigorous, college-level course. The Academy recommends this course and corresponding AP® exam for advanced 12th grade students and up. Am I ready to take Advanced United States History? This is a rigorous, college-level course. Lectures and assigned readings assume that students already possess high school-level familiarity with the major events of American history. Students should also have strong reading and writing skills, as this course requires them to write several formal academic essays and answer essay questions on exams. Please visit the College Board page about AP® U.S. History for more information about the material and skills students will study in the course and will need to master for the AP® exam in this subject. 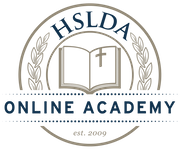 What is a Live Online Class Session in Advanced United States History? What if I have a schedule conflict with the listed Advanced United States History class times? What is the tuition for Advanced United States History?